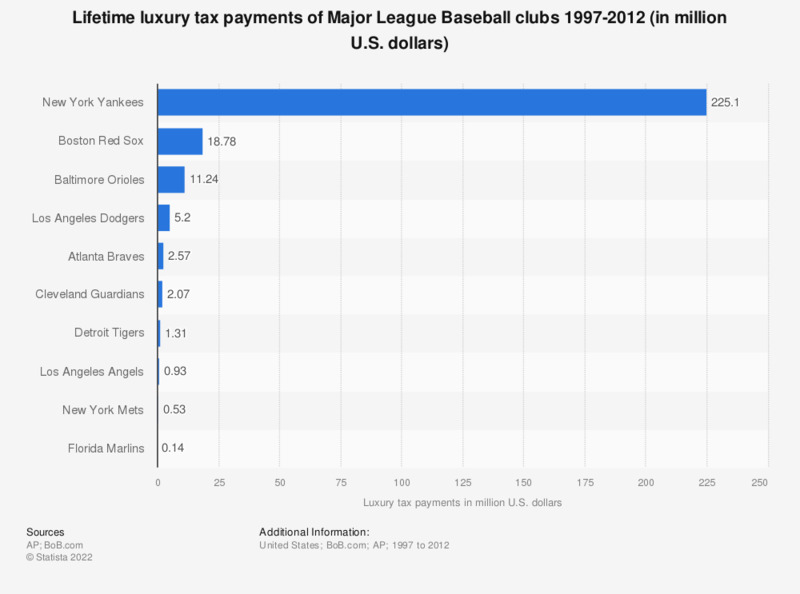 The statistic depicts the luxury tax payments of U.S. baseball clubs from 1997 to 2012. The luxury tax is officially known as Competitive Balance Tax (CBT) and was included in collective bargaining agreements. In the period from 1997 to 2012 a total of about 267.85 million U.S. dollars in luxury tax was paid.